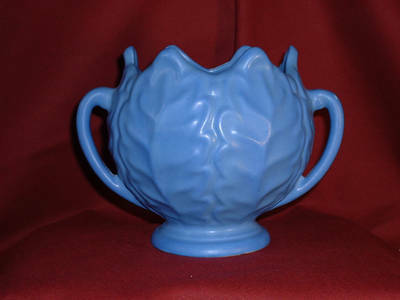 Description: Monmouth 2 handled vase. Great matte blue glaze. High fire white clay, almost like porcelain. A few tiny chips in the unglazed ring-foot and some of them have glaze in them. About 1940. About 6 inches tall.